awww ^^. 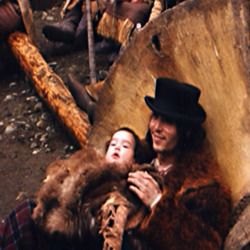 Dead man behind the scenes. Wallpaper and background images in the Johnny Depp club tagged: johnny depp actor johnny depp movie scenes. This Johnny Depp photo contains fur coat, fur collar, and fur accent.